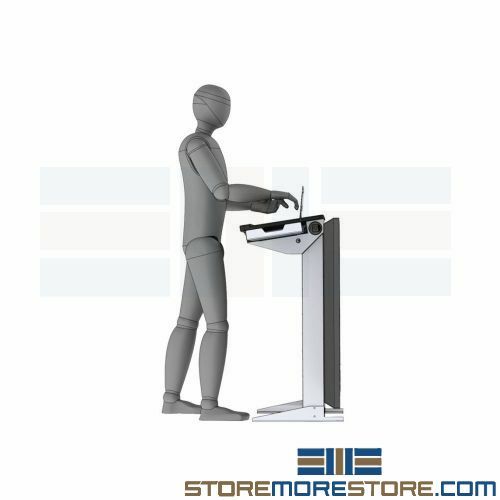 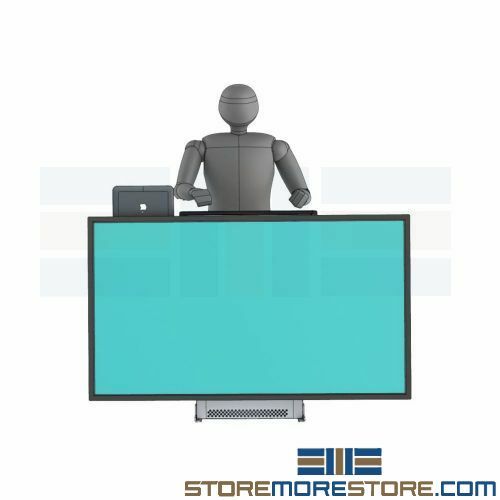 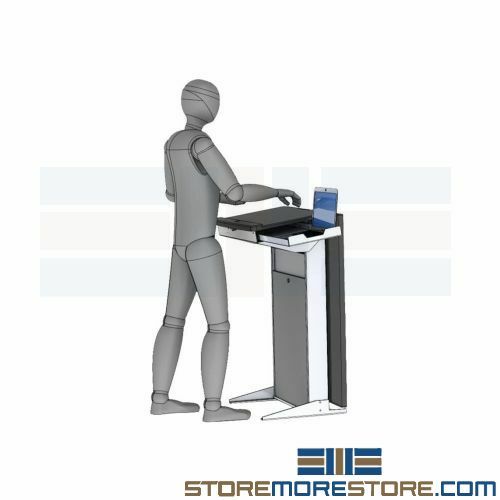 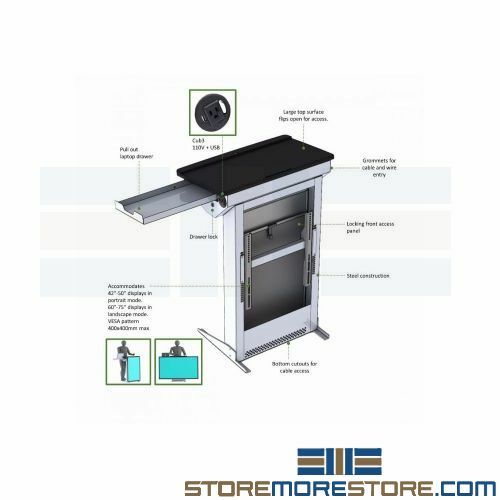 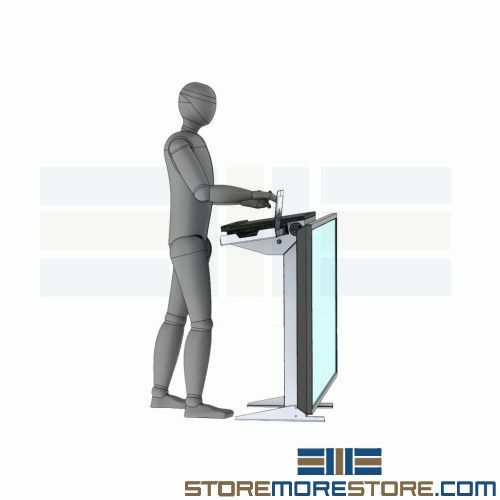 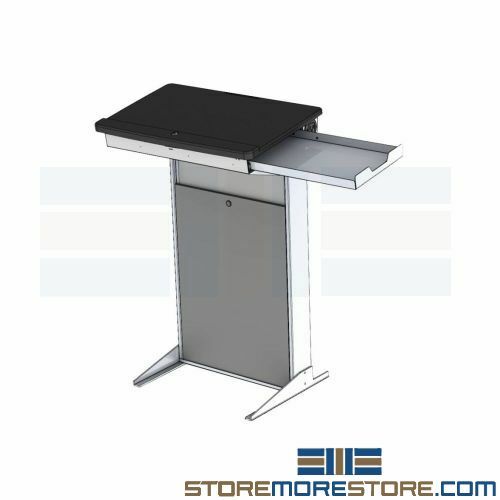 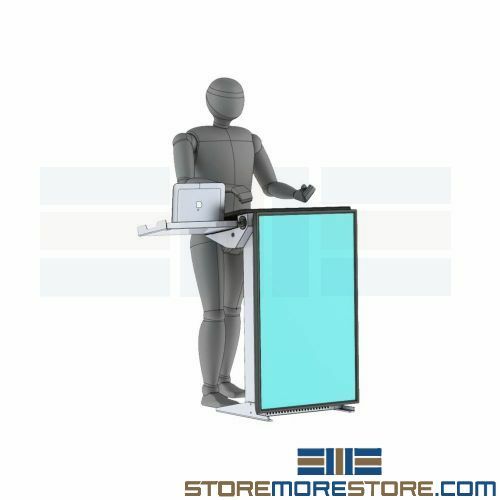 Presentation lectern desk stands are ideal for use as speaker platforms, customer service desks, audiovisual presentations, and more. 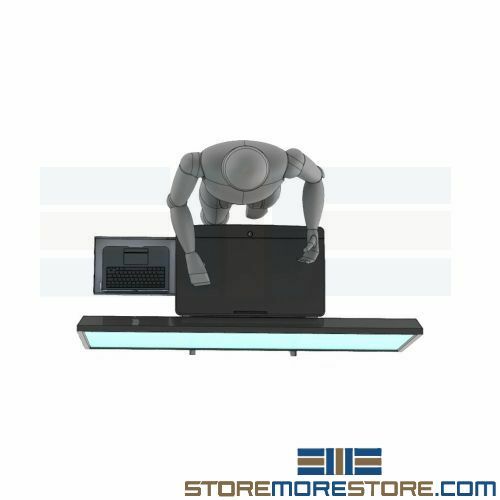 Their versatility is great for a wide variety of applications in education, retail, business, and more. 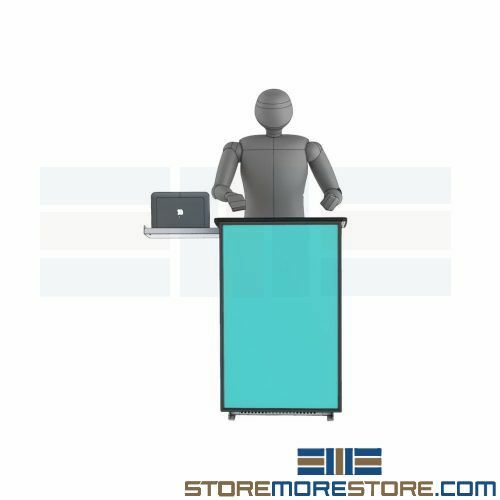 See below for a list of optional features; contact us to include the desired options with your order.